The Barge team pride ourselves on being able to cater for everyone, with dishes created from fresh local Cornish ingredients and prepared aboard our unique restaurant, on Bude Canal in North Cornwall. We offer a range of cooked breakfasts from 9 – 11am a range of main meals with an ever-evolving menu and daily specials to showcase the freshest ingredients, including chargrilled steaks, fresh fish dishes, salads, jackets and soups. We also offer a range of sandwiches and cakes, teas, coffees and hot drinks perfect for a restful bite or a cheeky treat. Our set food menu has been designed to offer a diverse range of traditional dishes which we as a nation love to eat. Our hearty dishes showcase local ingredients from some of the regions best suppliers. 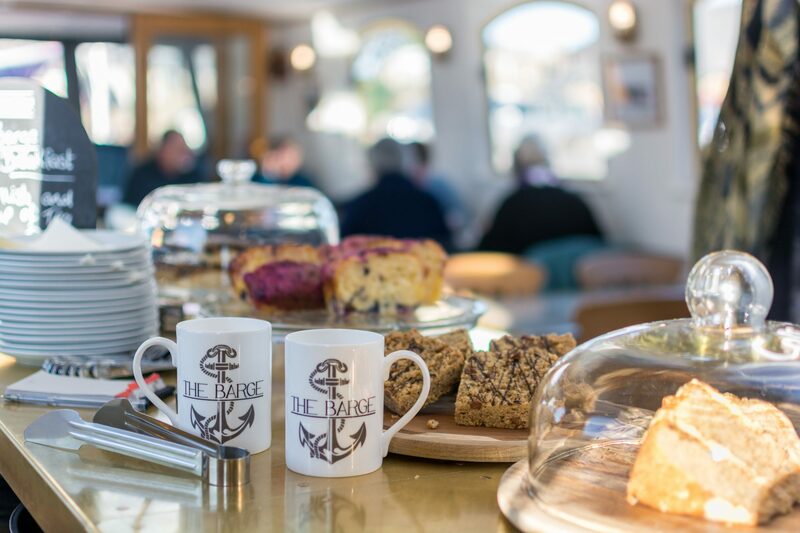 From our mouthwatering range of snacks and sandwiches to our scintillating chargrilled ciabattas and wholesome daily specials main meals – The Barge’s menu will tantalise your taste buds while the views captivate your mind. Our drinks menu comprises one of the widest selections of beverages of any cafe or restaurant in Bude and North Cornwall. 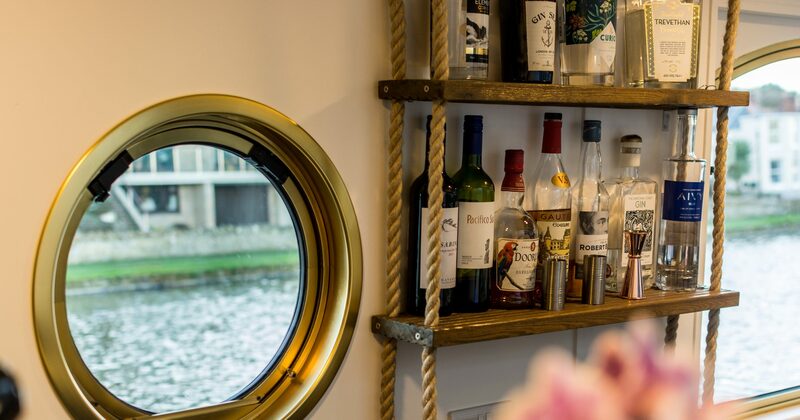 Housing a fully licensed bar, The Barge, offers a wide range of wines, spirits, lagers and Ales suitable for celebrating any occasion. We also offer a huge range of traditional family friendly favourites from a soft drinks to teas, coffees and hot chocolates.